Triple S Motors is the Subaru specialist. We assure that all work done is of the highest standard and we only utilise the highest quality parts and lubricants for your vehicle. 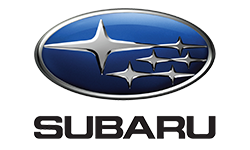 As a Subaru specialist, we focus on improving and maintaining the performance of your car. Our service incorporates the performance of your engine, steering, and transmission. It means your service may include replacing your oil filter, spark plug and engine oil, rotating your tyres and replacing your transmission fluid.